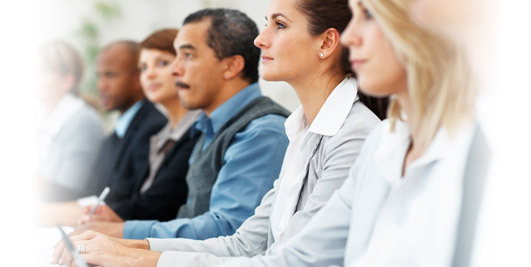 Discrimination Training | Human Resources Inc. Educating your employees now may save you in the future. In addition to thoroughly spelling out discrimination policies in employee handbooks, every two years your company should be conducting anti-discrimination training. There should be a session for managers and a session for non-managers. Those who take these courses are often surprised how everyday water cooler banter can turn into a harassment or discrimination lawsuit. There has been a surge in this type of litigation in recent years. Someone need only file a complaint, even a completely baseless one, and you may be looking at thousands of dollars in legal fees. Showing that your company engages in anti-discrimination training will help in court to prove that you have done your due diligence and have made efforts to prevent these incidents through employee education. Did you know that if you layoff an employee who is over 40 years of age, you need to provide additional language in a separation agreement to disprove age discrimination? Did you know that failure to provide a breastfeeding room for new Moms could result in a lawsuit? Do you know which businesses are required to have a handicapped bathroom? Ask the professionals at Human Resources, Inc.
Training your personnel to prevent discrimination and harassment in the workplace is nothing less than crucial. Not only can workplace discrimination and harassment affect employee productivity, it can divert resources from your organization’s real business. At Human Resources, Inc., we can assure that a course can be implemented that best fits your culture.